Can’t decide what to put on your holiday wish list? There are so many books to choose from, but these are my go-to books and I recommend them for anyone working on their genealogy. Red Book: American State, County & Town Sources, Third Edition – While this book is available through the Ancestry.com Wiki, I prefer the book version. I can highlight it, stick post-its all over it, write notes, and flip back and forth with ease. Although this latest edition was published in 2004, it’s still a valuable resource. It’s organized by state and goes through the various records types and repositories. Handy tables for each state show each county, along with its formation date (and if it was formed from another county), and the beginning dates for vital, land, probate, and court records. Some states, like Connecticut, do this by town instead of county. The Source: A Guidebook of American Genealogy, Third Edition – Also available through the Ancestry.com Wiki, it’s another book where I prefer the hardcopy for the same reasons mentioned above. Still relevant even six years after this edition was released, this book is organized by topic and gives a good overview of each topic. Particularly helpful for beginners who are transitioning to more advanced research. The Researcher’s Guide to American Genealogy, Third Edition – This book is similar to The Source and there is some overlap in topics. However, they’re each presented differently and it’s sometimes better to have both. Each one covers a few topics the other doesn’t. Professional Genealogy: A Manual for Researcher, Writers, Editors, Lecturers, and Librarians – NOT just for professionals, this is a wonderful resource even if you have no plans to do genealogy for a living. It covers a variety of topics from research reports to transcriptions to writing family histories, as well as information targeted at the professional such as business management and marketing. Evidence Explained: Citing History Sources from Artifacts to Cyberspace, Second Edition – The preferred standard for citing sources in the genealogy world. While it serves as a references for endless citation scenarios, the first chapter is dedicated to evidence analysis, which should be read and reviewed often. The last few years have seen the emergence of short informational guides focused on a particular topic. Genealogical Publishing Co. – Carries two lines of guides: Genealogy at a Glance and QuickSheet. These guides cover a variety of topics including Italian genealogy, Revolutionary War, African American genealogy, cluster research, and problem analysis. Legacy Family Tree – Recently came out with a Legacy QuickGuideTM series, covering many different topics from preserving family heirlooms to Canadian genealogy to land records. Genealogical Societies – A few state genealogical societies have put together guides of their own focusing on their particular state. These include: Insider’s Guide to Illinois Genealogy (Illinois State Genealogical Society), Insider’s Guide to Ohio Genealogy: A View of Essential Buckeye State Resources (Ohio Genealogical Society), and Insider’s Guide to California Genealogy (California Genealogical Society). Family Tree Magazine – A one-year subscription includes seven issues; available in print and electronic versions. Family Chronicle – A one-year subscription includes six issues; available in print and electronic versions. Internet Genealogy – A one-year subscription includes six issues; available in print and electronic versions. American Spirit – A publication of the National Society Daughters of the American Revolution, this always has some great articles. You do NOT need to be a member of the DAR to subscribe. 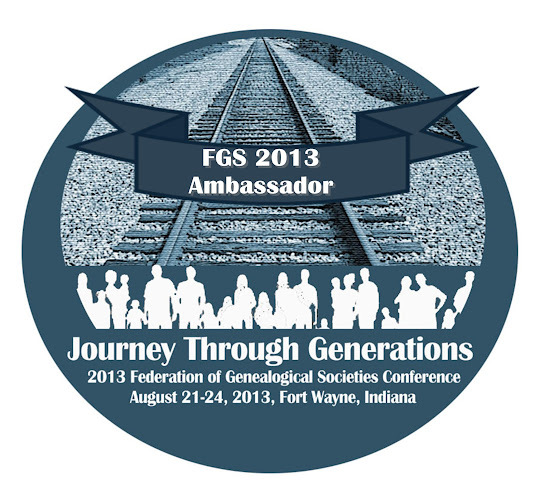 FGS FORUM – This is a publication of the Federation of Genealogical Societies and includes articles and columns relevant to genealogists as well as society management. Anyone can subscribe to this magazine. There are plenty of genealogical and historical societies out there at all levels: national, regional, state, and local. Two of the more popular national/regional societies are the National Genealogical Society and the New England Historic Genealogical Society. Professional-related societies include the Association of Professional Genealogists and the American Historical Association. To find other societies, start with the listing provided at Cyndi’s List. And don’t forget about photo-editing software to help you preserve your photo collection and documents. I personally use Photoshop because I also use several other Adobe products in the Creative Suite. I’ve heard that Photoshop Elements is a cheaper alternative to Photoshop and still provides a wide range of capabilities suitable to the needs of genealogists. Ancestry – Lots of stuff! Records and indexes, variety of types covering many places. Make sure you specify if you want a US or World subscription. Fold3 – Formerly Footnote, their focus is on military-related records. However, they also have a big collection of non-military records including city directories, newspapers, and censuses. GenealogyBank – Oodles of newspapers at your fingertips. This is my personal favorite website for newspaper research. They also have a Historical Documents collection, which has some rather interesting resources. Find My Past – Major focus is on the UK and Ireland, however they are adding US record collections. Flip-PalTM Mobile Scanner – Scan just about anything with this nifty mobile scanner. Yes, it’s small, but their stitching software is fantastic—it puts multiple scans together to reproduce the original in a digital format. If you plan to use it a lot, I’d also recommend asking for at least two sets of four AA rechargeable batteries. Brother DS-600 Mobile Scanner – I’ve had this scanner for about four years now and I love it, although I don’t use it as much as the Flip-Pal. The great thing about this feed scanner is that you can scan legal pages in one scan. It’s also a great backup for when the Flip-Pal batteries are dead. Although I don’t have one, I hear a lot of people talk about hand-held “wand” scanners as another mobile scanner option. In addition to scanners, another great tool is a tablet or tablet-like device (like the Kindle Fire or iPad). I got a Kindle Fire for Christmas last year and had no idea how much I would use it for genealogy. I went an entire week at the Family History Library with only the Fire, while my laptop stayed in the hotel room. It’s also great to have my genealogy database at my fingertips for those times when I’m at a family gathering and people start asking questions…quick, easy access, and they have their answer. You can read more about how I use my Kindle Fire for genealogy here. Well, there’s my list of holiday gift suggestions. There are certainly plenty of other things I could have included, but we could be here all day and we’ve got our lists to make! I’d love to hear what you’re hoping to get this holiday season…drop me a comment! #5: For Mac users - think positively about Reunion software. Reunion Ten, a major upgrade, was released a few months ago. Very nice graphics and options. Emily, Thanks for sharing a Mac program! Thanks for sharing, Bill. Macs just aren't my world so I appreciate your feedback.